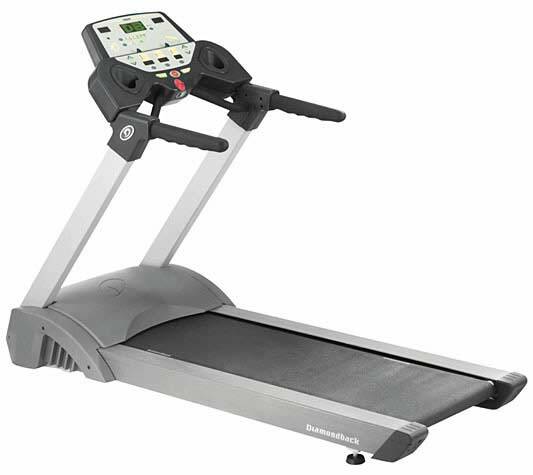 Diamondback 500Tm treadmill has simple design with comfortable Kraton side rail grips. The low-maintenance cushioned deck with silicone lubricant gives you plenty of room to reach your stride- a full 20"x55". 20 x 8 dots Green Dot matrix profile. TreadmillDoctor.com 7.32 out of 10 Solid treadmill but there are good reasons to go with the next model up. *Note: Most of the sites, stores or shopping portals listed above sell Diamondback 500TM Treadmill with discounts and other exciting offers. There is a possibility that the some of above websites are not selling Diamondback 500TM Treadmill now. Toughtrain.com is not liable for such cases or instances. Also we do not recommend any seller for Diamondback 500TM Treadmill and a buyer should buy from where he/she gets best deal with quality of products, service and on time delivery (shipment).